Tisch College is launching a new initiative in Social-Emotional Learning and Civic Engagement thanks to a generous gift from David T. Zussman, A53, J80P, and his family through the Zussman Fund for Social and Emotional Learning (SEL). The gift will support Tufts faculty’s integration of social-emotional learning into their teaching, and will promote related research and education across the University through frequent collaboration with the Center for the Enhancement of Learning and Teaching (CELT). A key aim is to encourage all Tufts students—undergraduate, graduate, and professional—to develop their social-emotional skills through civic experiences in and out of the classroom. The initiative will also generate new knowledge for the benefit of other institutions. Social and emotional learning involves developing the skills needed to recognize and manage emotions, handle conflict constructively, establish positive relationships guided by empathy, engage in perspective-taking, make responsible decisions, and handle challenging situations effectively. Applied to teaching and learning in higher education, SEL helps both students and faculty recognize and embrace the vital role that emotions play in learning. 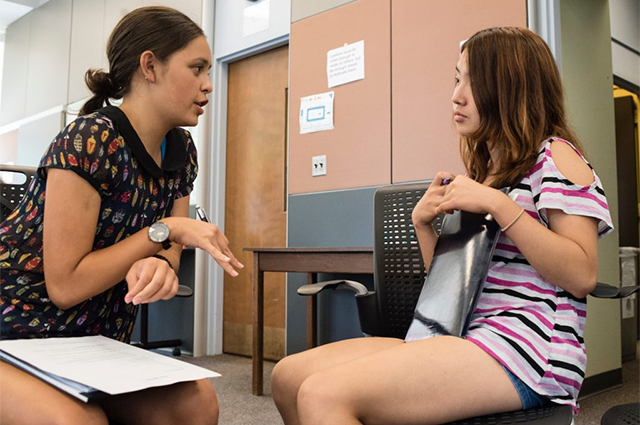 SEL is also deeply connected to civic engagement, which many Tufts students experience by working in communities, conducting research with community partners, and/or engaging in dialogues about emotionally charged controversial issues. When such experiences are well-designed and managed, with space and time for reflection built in, they can support the ongoing development of social-emotional resilience, intellectual agility, and cultural competence. In addition, the Tisch Social-Emotional Learning and Civic Engagement (SEL-CE) Initiative will focus on diversity and inclusion, with special attention to how multiple, diverse identities (e.g. race, socioeconomic status, gender, religion, sexual orientation, etc.) interact and affect the experiences and well-being of Tufts students, faculty, and staff. This new initiative will strengthen Tisch College’s work as well as the university’s commitment to more robust educational opportunities that develop all students’ civic skills and cultural competencies through engaging across differences. As such, the initiative responds to and advances Tufts’ “institutional commitment to diversity, inclusion, and cultural competency.” Social-emotional skills are foundational to authentic, culturally responsive teaching and learning, and vital to the development of “attitudes necessary to support and sustain healthy and productive interactions both within and beyond [Tufts’] diverse university community” (Tufts University Council on Diversity Report, 2013). Levine will serve as Director of the initiative, and Deborah Donahue-Keegan, a lecturer in the Tufts Department of Education, will serve as Associate Director. They will convene a steering committee, comprised of students and faculty, to explore ways Tufts University can better incorporate social-emotional learning into courses and campus life. A faculty institute on the topic is already planned for early May. During the coming summer, a team of Tufts students, faculty, and staff will facilitate a session at the Bridging Theory to Practice national conference, The Whole Student: Intersectionality and Well-Being. Also, faculty members will represent Tufts at the Social-Emotional Learning and Culturally Responsive Teaching Institute in San Francisco this June. “This initiative provides the Tufts university community with a tremendous opportunity to leverage the nexus of social-emotional learning and development, civic experiences, and diversity and inclusion in ways that can cultivate transformative learning. Developing skills to engage with dissonance constructively is vital to ethical civic engagement in our deeply divided society. I am excited to work with colleagues to help guide this effort at Tufts,” says Deborah Donahue-Keegan.